When ministers gather next week in Atlanta intent on concluding the Trans-Pacific Partnership trade talks, Canada is contemplating a major concession that would have a disruptive effect on the supply-managed dairy sector. Canada is preparing to open the border to more American milk, without getting reciprocal access for Canadian dairy farmers in the United States, CBC News has learned. 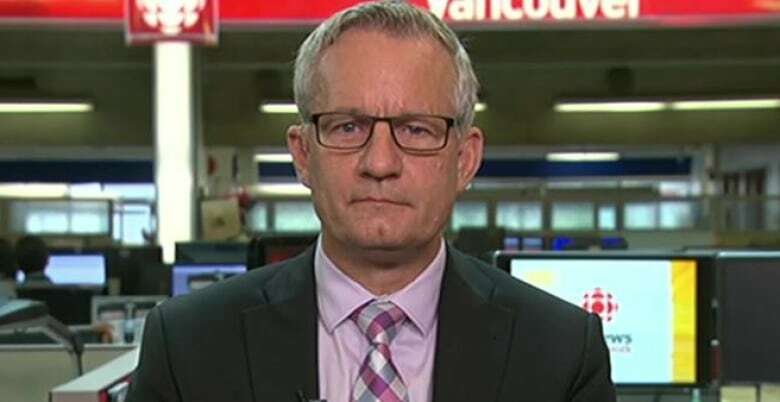 Trade Minister Ed Fast will leave the campaign trail to join his counterparts in Atlanta on Wednesday, intent on concluding the Trans-Pacific Partnership trade talks. Chief negotiators from the 12 Pacific Rim member countries meet starting Saturday. Conservatives want to conclude a deal before the Oct. 19 election and cast it as a win for consumers. But what Fast offers could seriously disrupt the supply-managed dairy sector. If that happens, "there's going to be a war," says Yves Leduc from the Dairy Farmers of Canada. "The industry will never accept that." What is the Trans-Pacific Partnership? The final offers on market access for dairy products were one of the few things ministers didn't get to during the last trade talks in Maui, Hawaii, in late July. The list of outstanding issues is now very short: rules of origin for the automotive sector, which are also sensitive in Canada, as well as intellectual property protections for pharmaceuticals. The deal is portrayed as "98 per cent done." The short strokes on dairy come down to how much of Canada's domestic market would be opened up to American products to compensate U.S. dairy producers for opening up their market to TPP partners such as New Zealand, an aggressive and competitive dairy exporter. CBC News has learned Canada is prepared to offer up a significant share of its domestic market (as defined by consumption levels), including not only fluid milk, but also possibly butter, cheese, yogurt or the milk powders and proteins used to make other foods. The American goal for dairy market access was nine or 10 per cent, a figure that prompts dairy industry folk to use words like "enormous" and "annihilation." But even if Canadian negotiators successfully push back, an offer of even half that would be huge. For the EU deal, the Harper government offered dairy producers compensation contingent on proven losses — not a foregone conclusion amid rising demand for cheese. Having to prove a loss before getting help was poorly received, with producers uncertain what's really coming and the government non-committal on precise dollars. For the bigger concession now in play, the demand for compensation would be greater. The trade deal would not offer Canadian dairy products any new international markets. So, more imports would mean a smaller Canadian industry. The compensation package this time may have to be massive, and could include a way to help producers out of farming by buying back quota. While it's unclear how much this would cost the government, at current market values for quota, pulling out 10 per cent of milk production could require $2 billion. It's a calculated risk, as Canada's other ambitions at the negotiating table aim for billions in new export growth for other agricultural products. This does not dismantle the supply management system, but shrinks it. Then there's the dairy processors: would they need transition assistance too? They're struggling to be competitive in an uncertain trade climate. Ten per cent less domestic milk would destabilize the supply chain and potentially increase the consumer price of domestically processed dairy, if fixed costs remain the same with lower volumes. Alternatively, local plants may close. In some places, Quebec and Atlantic Canada especially, competitive American dairies are only a few hours' drive away. ​The U.S. industry, anxious about its losses under the Trans-Pacific Partnership in competitive global dairy markets, was pressuring for up to 15 per cent additional market access in Canada. "They don't want to be a dumping ground," Leduc says. "Why should we open our markets for dumped products from the U.S., or anywhere else?" American negotiators favour a "tonne for tonne" approach: each tonne given up to new imports would require a tonne of exports to somewhere else; in this case, Canada. But the U.S. industry is about 10 times the size of Canada's. A tonne there is less significant to the overall U.S. picture than a tonne in Canada. "To me, that's not a level playing field," Leduc says. Dairy farmers were hopeful, particularly with comments in the media this week suggesting New Zealand wasn't going to get the "gold-plated" deal it sought from the U.S., perhaps trying to lower expectations. Fast's office won't confirm or deny anything, saying throughout the talks that Canada's not "negotiating in the media." Late Friday, his spokesman emphasized to CBC News that negotiations are still ongoing and no final offer has been made. "Prime Minister Stephen Harper will only sign an agreement that's in Canada's best interest," said Rick Roth. "Those who know aren't talking, and those who are talking don't know," says Adam Taylor, who worked for Fast during the EU talks but is now a director with lobbying and communications firm Ensight Canada. Taylor thinks Canada's negotiating hand remains strong, despite the election. Key staff in the minister's and prime minister's offices stayed off the campaign to focus on the trade deal. "The government won't try to sell a bad deal or negotiate a bad deal just for the sake of a deal," Taylor said. "The worst thing they could do is negotiate a bad deal, lose the election, and then have it exposed as a bad deal by their successor … or have to live with it if they win." "We have had comprehensive, broad consultations with every sector of our economy," Fast said Wednesday during an interview with host Rosemary Barton on CBC News Network's Power & Politics. This dairy deal took shape in Maui. But stakeholders say their conversations were one way — they talked, while government officials simply listened, offering no scenarios. Since then, silence. Dairy players also heard nothing in the final run-up to the EU deal. Other supply-managed commodities, such as chicken, were not part of the Europe deal. This time, they've not been told they're exempt. Quebec dairy farmers, often the most anxious and politically vocal, demonstrated in Montreal before Thursday's leaders' debate. But the political impact is not limited to the few seats the Conservatives still hold in that province. The effects could be spread across other rural ridings. Ontario seats like Perth-Wellington, won by a Conservative in 2011 who's not running for re-election, could swing. The American hosts delayed announcing ministerial talks until the last minute, perhaps seeking assurances that enough compromise work had been done to ensure things conclude this time. 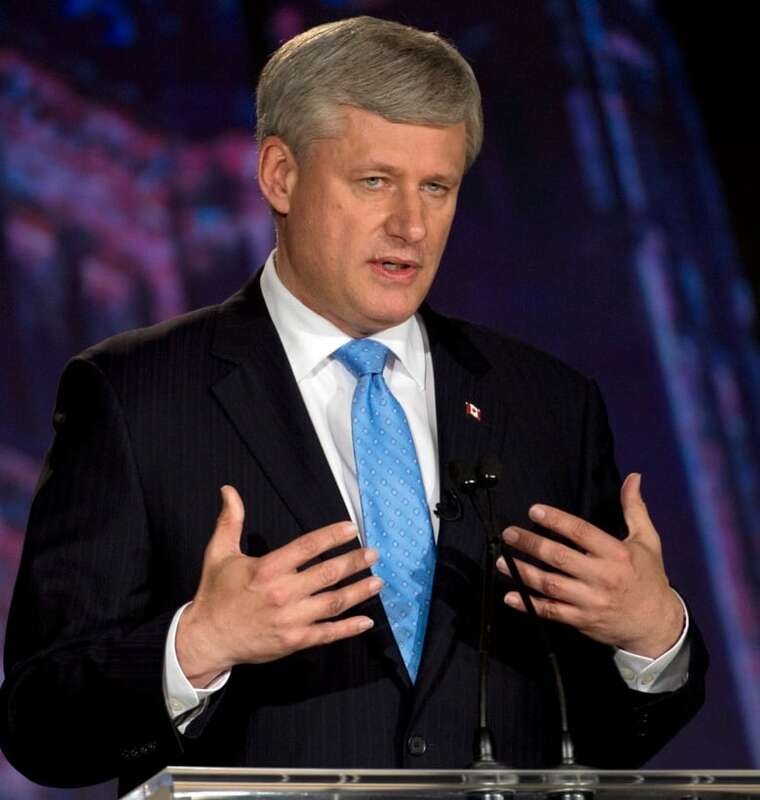 In Thursday's French-language leaders' debate, Stephen Harper said he always defends supply management in trade talks. This deal is expected to conclude less than three weeks before voting day.